TD Garden is the home of the Boston Celtics National Basketball Association team and the Boston Bruins National Hockey League team. 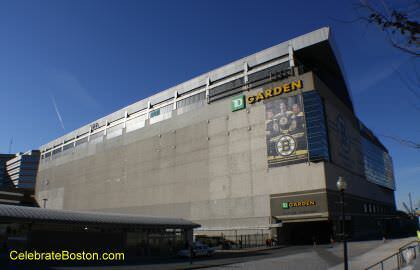 The new garden opened in 1995, replacing the legendary original Boston Garden building (1928-1995). The Boston Celtics have won 18 NBA World Championships, accomplished by very successful dynasty teams in the 1960s (Bill Russell, John Havlicek +), and 1980s (Larry Bird, Robert Parish +). The Boston Bruins have won 6 NHL Stanley Cup Championships, with the 1970 team being the most famous in modern times (Bobby Orr, Phil Esposito+). The Sports Museum is located within the Garden, and contains exhibits about Boston and New England's rich sports history. 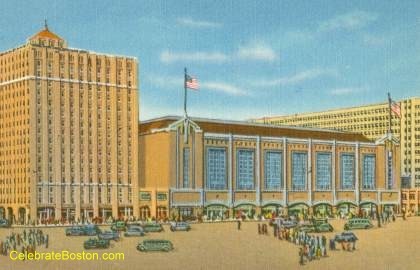 The images below are of the TD Garden, and historic old Boston Garden (now demolished). The TD Garden arena was built directly behind the old Garden, with only inches of space between the buildings during construction. Walking Directions: Exit the station, TD Garden is directly across Causeway Street. The ticket office is located on the west (left) side of the building. Walk past a statue of Bobby Orr on the way to the west entrance.